This is my first blog post to LarryBecraft.org. I welcome you, and I invite you to contact me if you need a lawyer to represent you as a defendant in a civil or criminal matter. Just fill in the contact form and request a call-back. 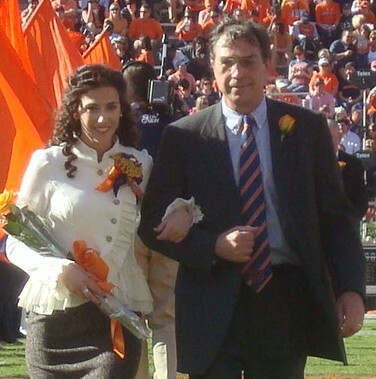 The photo shows me escorting my daughter, Auburn University Homecoming Queen, at the Auburn Homecoming football game at half time.